Apple may be working on new versions of the iPhone 7, 7 Plus, 8, and 8 Plus with updated modem hardware that does not violate the injunction levied against Apple in Germany. As FOSS Patents points out, German website WinFuture says that sources in German retail have said that Apple will introduce modified iPhone 7 and 8 models that it will be able to sell in the Germany despite the sales ban enacted in December. WinFuture says that Apple is set to begin selling modified versions of the iPhone 7 and iPhone 8 in approximately four weeks, and German retailers have already received lists of model numbers for the new devices. The site does not list all of the new model numbers, but includes MN482ZD/A, which is a black iPhone 7 Plus with 128GB of storage, and MQ6K2ZD/A for the 64GB iPhone 8 in space gray. Neither of these new model numbers matches existing model numbers for the iPhone 7 and iPhone 8. According to FOSS Patents, WinFuture has a credible reputation in Germany, and, coupled with the discovery of the new model numbers, there's a good chance this is true despite the fact that it has yet to be confirmed by an official source. In its ongoing dispute with Qualcomm, Apple has had older iPhone models banned in both China and Germany. In China, Apple was able to get around the ban with a software update and has continued selling iPhone 7 and iPhone 8 models in that country. In Germany, things are more complicated. A German court says that some iPhone models equipped with Intel modems infringe on Qualcomm's hardware patents, so there is a hardware issue that Apple needs to address. Apple has been ordered to cease the import and sale of infringing iPhone 7 and iPhone 8 models in Germany, both at its own retail stores and from third-party suppliers. 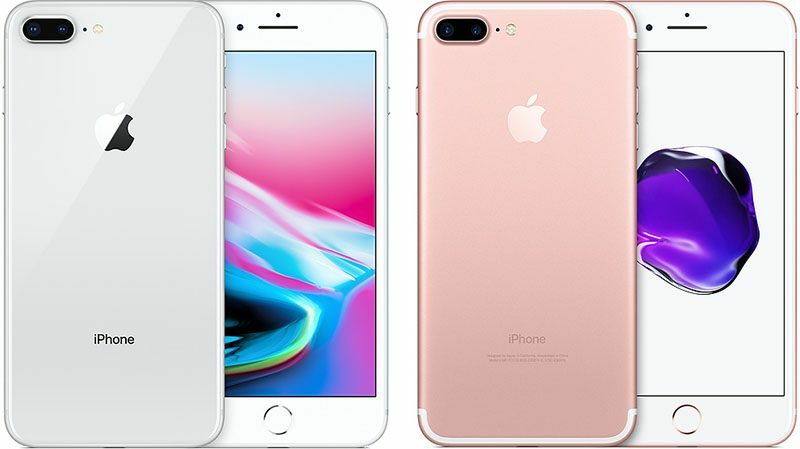 Introducing tweaked versions of the iPhone 7 and iPhone 8 without the allegedly infringing hardware would allow Apple to continue to sell its older iPhones in Germany while the legal battle with Qualcomm goes on. Put the headphone jack back in and you've got a phone people will want. People aren’t clamoring for headphone jacks...that’s why they are mostly gone. It might look sort of weird. EDIT: I take that back; it's beautiful! Apple should also put the floppy drive back into in their computers. Hey, why not take it back even more?? I'll never buy another Qualcomm product again. What was the last one you bought? I think it's funny Apple will retool older models for one country. Are the 7 and 8 still selling THAT well in Germany? I miss CRT monitors... life was simpler back then. Or maybe a phone you want. I am part of people and I wouldn't give a toss about headphone jack. Germans are much more frugal than Americans. They also don’t care as much about “keeping up with the Joneses.” A large percentage of Germans don’t use a major carrier and buy prepaid sims or get service from independent providers. The fact is that the 7 and 8 still do everything that you need a phone to do really well. Exceptionally well for 1-2 year old phones. We’re pretty shallow people here which is why you’ll see iPhone Xs in the hands of people who really shouldn’t be spending over a grand on a phone.